Individual quizzes (IQ) are given on a weekly basis except during weeks in which a test is scheduled. These quizzes are scheduled and closed notes. Group quizzes (GQ) may occur once per unit. They are closed notes and will replace a scheduled weekly quiz. Students will work in groups of 2 or 3. Pop quizzes (PQ) are given as needed. These quizzes are based on notes, classwork, & homework. Students may use all the aforementioned while taking a pop quiz. Students are also permitted to work with a partner. Tests are given at the end of each unit. There will be review before each test. If a student misses a test, they must make-up the test within a week of their return. The test must be taken either before or after school in one sitting. If a student misses both the review and the test, the test must be taken within a week and one day of their return. The extra day is to account for the time needed to complete the test review. If a student scores below a 75 on an exam, a student is required to do test corrections. For each corrected question, students will receive half a point back toward their original exam grade and may earn up to, but not exceed, a 75 (this opportunity will not be available during the 4th quarter). Each quarter students are assigned a project. Projects are often performance based or interdisciplinary in nature and give students the opportunity to demonstrate their mastery of key concepts in non-traditional ways. Exams are given twice a year. They are cumulative and students are strongly encouraged to study together and come in for extra assistance with any concepts they find unclear. The midyear and final exam are, respectively, worth 25% of the second and fourth quarter grade. Classwork (CW) is assigned daily. In class assignments give students the opportunity to practice their skills in class with their peers, with my assistance or both. Classwork is designed for students to complete before the end of class. Some assignments will be collected for a grade, other will be given a grade that reflects the effort given by the student in class. Homework (HW), or problem sets, is due each Monday at the beginning of class. Each student may have one excused homework assignment per quarter. In order to be excused from a homework assignment you need to leave a note with your name on it on the corner of your desk or pass it in when homework is collected. There are two components to the homework grade. Homework is graded on effort and completion and will be checked while students work on their warm-up. We will review homework during class. Twice per unit, I will choose three random questions on several previously checked assignments to grade for correction**. This will be part of students binder grades and is to help students stay accountable for making homework corrections and encourage them to use homework to study for quizzes, tests and exams. Students will be graded on their in-class participation, attendance (timeliness and unexplained absences), and academic integrity. 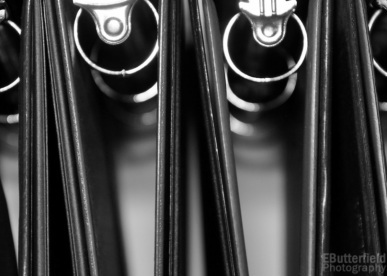 Be sure to keep your binders neat an organized. This will allow you to easily access previous assignments and assessments when studying for unit exams, midterms, and finals.